MONDAY - 1/2 PRICE BOTTLES OF WINE ALL DAY. Join us at our new location in Minnesota! Our Detroit Lakes location is equipped with spacious dining and a great bar, so you can enjoy a fantastic meal and drinks in the heart of lakes country. We have two banquet rooms for your private events. We may be biased, but it’s hard to find a better place for a wood fired steak, smoked meats, and the rest of our award winning food here in Detroit Lakes. 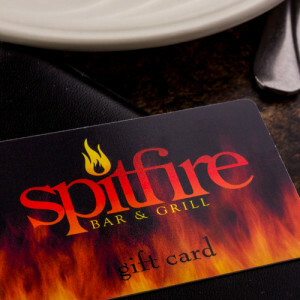 Pick up a gift card in our restaurant for any amount.